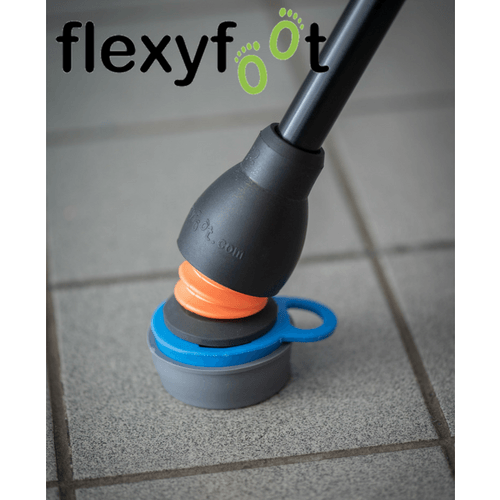 The Flexyfoot ice boot simply pulls on over the Flexyfoot ferrule “foot” and provides the extra grip needed to give you confidence when walking in icy conditions. 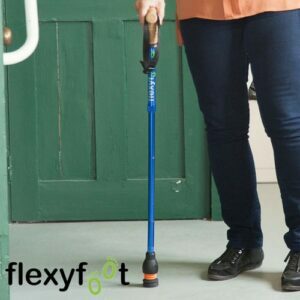 The Flexyfoot Pop-on Ice Boot attaches to any Flexyfoot Shock Absorbing Ferrule which can be used with any walking pole, stick or crutch to keep us all out and about and more active this winter. Available in cool blue, the Ice Boot is sold separately and fits all Flexyfoot ferrules. 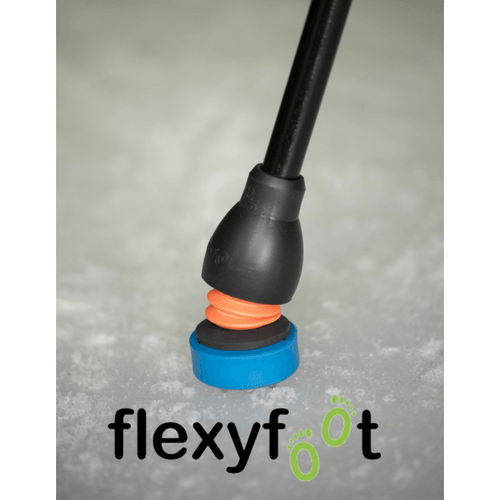 This means you can use your Flexyfoot ferrule in normal conditions, and effortlessly pop on the Ice boot when the mercury dips, in just a few seconds. 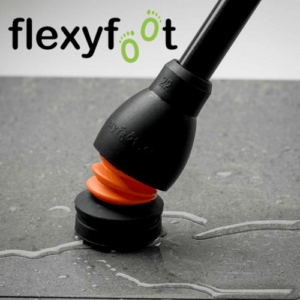 Enjoy all of the benefits of Flexyfoot this winter with the added confidence of the Ice boot’s grip. 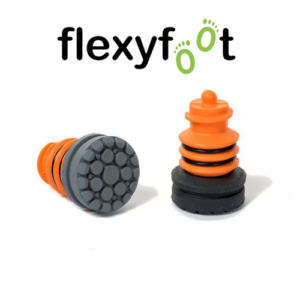 The Flexyfoot Ice Boot improves grip in ice and snow. 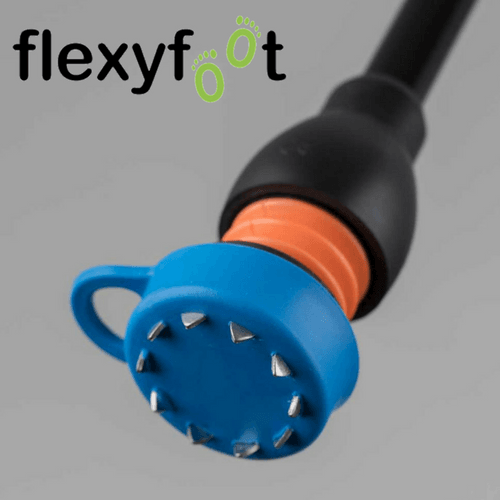 This is a pull-on accessory for the Flexyfoot ferrule foot and has a circular array of stainless-steel teeth moulded into the underside designed to dig into snow or ice. 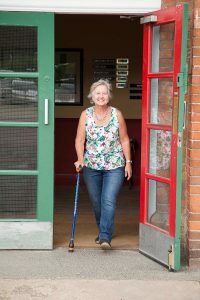 It is easy to pull on or off so you can adapt your walking aid according to the weather conditions. This is the cover for the boot. It fits over the teeth of the Ice Boot to shroud the sharp teeth when not in use. It is also designed with the same properties as the ferrule foot to provide maximum grip when going from the ice and snow to indoors without having to remove the Boot. The cover protects the floor from the sharp teeth and prevents slip or damage. Ideally suited to short term use, the Ice Foot cover is designed to use for short periods of time as required. 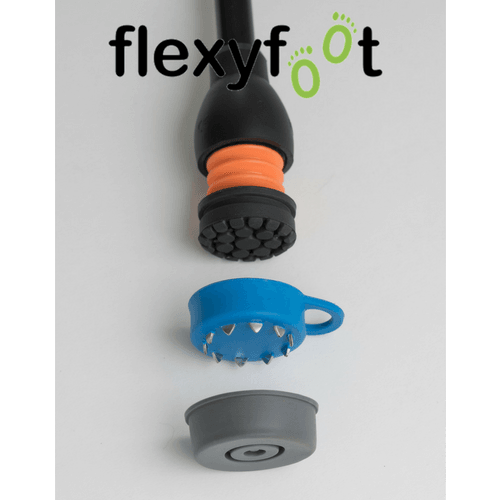 It is not designed to use as a replacement to a Flexyfoot.